I showed the client how field descriptions would appear underneath the field controls, but what they wanted was for the field descriptions to appear where the field labels were displayed, instead of the field labels themselves. A custom list form would certainly do the job, but customisations to a list form don’t travel beyond that specific list (unless you’re using a custom list definition), if the content type being used is added to another list, those customizations would not appear in other lists. 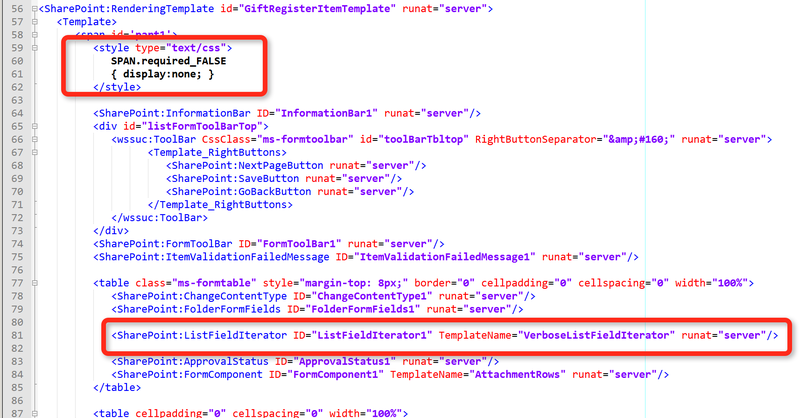 So the solution was to develop a custom rendering template for the content type – a rendering template is quite simply an .ASCX file dropped into the CONTROLTEMPLATES folder in the SharePoint root (14 hive). As you can see the CompositeField template emits the field label, field control and field description in 2 table cells. So this emits the field description and field control, next to the field description it also emits a SPAN containing the required field * character, the SPAN’s class is set to “required_” followed by the value of the fields Required property. The reason I’m doing this is because the FieldLabel control emits the * indicator automatically when the field is Required, whereas the FieldDescription control does not. Nothing interesting here, just using the ListFieldIterator control and specifying the VerboseCompositeField template created above. This is just a copy of the standard ‘ListForm’ rendering template, though I’ve added spacing and line-breaks for clarity. Added a STYLE element with a class selector of “.required_FALSE” to ensure that fields which are optional do not get the required * character. 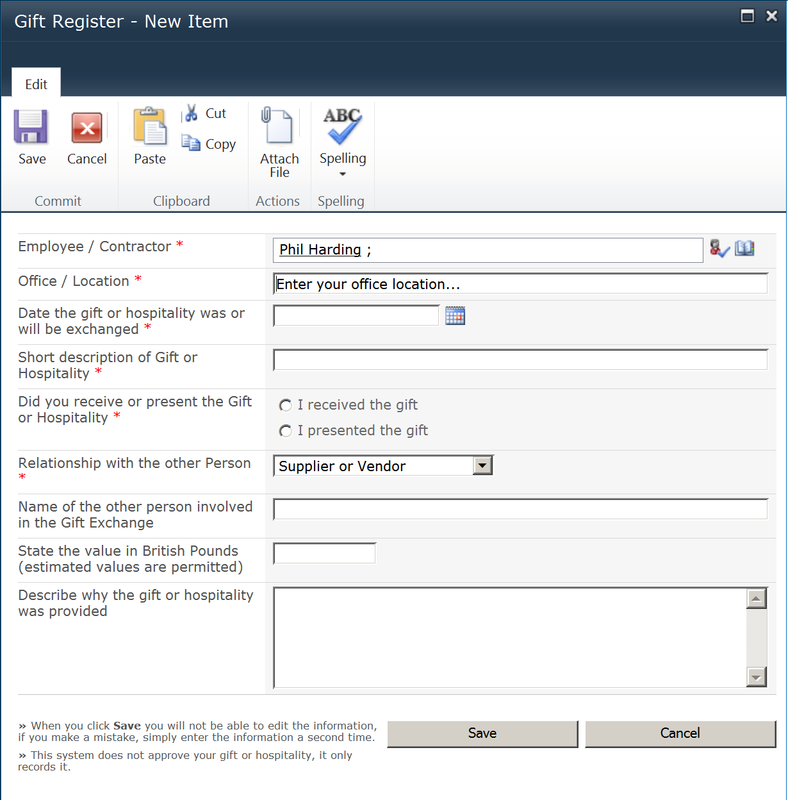 The ListFieldIterator control specifies that the VerboseListFieldIterator template should be used.